Are you sitting comfortably? Then we’ll begin: The SLLG does Storify. The SLLG Twitter account, @ScotLawLibs, is something which continues to develop as an interactive resource for up-to-date Scots law and law information professionals’ interests. Incredibly not all SLLG members follow our awesome account. There are various reasons but one of the most common is a lack of access to Twitter. To address this in particular, the SLLG now has a Storify account. Storify is an online platform which allows the collation and presentation of selected tweets, as well as other social media publications, to create a single narrative. The tweets are functioning and any links in them work too. In short, it means it is possible to collect and put together the most interesting SLLG tweets on a topic, group event, or from a period of time, under an individual website link for members. This web address can be embedded in our blog or pasted in an email to be viewed outside Twitter. It is the intention our Storify will provide many members increased access to a resource of information from the SLLG that has been otherwise tricky to reach. Do you have an opinion on this format of tweeted information delivery? Do you have any suggestions of topics we might be able to create a Storify page for? Please let any member of the SLLG Committee know your ideas. Learn to speak the lawyer’s language: Drop legal buzzwords into communications, it will show the lawyer you are on the same wavelength. Be tactical: Teach a lawyer where the free resources are that they can use without you. Patience: Law is a high stress environment and it is the lawyer with a query from a frustrated client who is your frustrated client. Be open: Encourage direct communication and accept feedback from a lawyer to let them know you want to improve the support for them personally. Show your value: Develop resources to give your lawyer the edge. Minimise interruptions: Provide updates and news at a time when a lawyer is most likely to be able to digest it. “It’s not me, it’s you”: You might bear the brunt of a lawyer’s frustrations just because you happen to be there in front of them. We know that the best relationships are reciprocal, so we have quickly put together 7 tips back to lawyers from law librarians. Don’t law-speak: While legal terminology can be useful and necessary, legalese for the sake of it is prone to confuse and slow an enquiry. Law librarians will know a surprising amount of law terminology, but cannot be expert in all fields of law specialisms or maxims. Everything has to come from somewhere: Not everything is on the internet. Not everything on the internet is free. Good time, Sunshine: Ask for all information as fully as possible in the one visit and be realistic with the timeframe. It’s not just you asking for something ASAP or Urgently, and in the words of Chief Engineer Scotty “Ye cannae change the laws O’Fizzicks” : a printer will take the time it takes, just the same as an interlibrary loan request or a book purchase order being fulfilled. A law librarian cannot operate outside the concept of time. Be like a crystal and make clear: Ask for the accurate and exact information you need, how you want it delivered and when you really need it. A trainee or PA asking on your behalf can distort the enquiry and cannot answer any follow-up questions and so simply adds delay. Speak to the librarian directly. There’s more going on than meets the eye: The law librarian is providing an equally high quality service to more than just a single lawyer. The law librarian might have numerous enquiries spinning as well as maintaining a raft of resources and keeping a watch on working within any licenses and legal framework. In order to do this successfully, they must develop a service which is not always tailored to your immediate requirements, but for the benefit of all service users. Ask your friendly neighbourhood law librarian: Ask your law librarian for help anytime you need it. Instead of spending hours trawling internet sites and Google, use a law librarian’s skills. These are specialists employed to find information efficiently and with authority offline or online, so don’t waste the real resources of the law library. Sometimes there is nothing up our sleeves: Occasionally the law librarian simply can’t get the information you require. But there will always be a good reason for this. It won’t be for the want of trying every option available to them, including some dark arts known only to information professionals. Often it will be because the information does not exist. HULK Q.C. SMASH! : It would seem that this point should go without making it (so we have added it to the end), but please don’t take your frustrations out on the law librarian. Law librarians are fellow professionals, equally adept at their job as you are at yours, and, likewise, are just as easy to upset as anyone else. True communication and genuine understanding of both the pressures and expectations put on the lawyer and the law librarian are key to creating a professional relationship which will stand up to them. If you have any other suggestions for tips, please add them to the comments section. Many thanks to SLLG members, Lorna and Fiona, for their input and contributions to this post. The next time you think a law librarian smells of just a pile of old books, it’s actually expensive perfume. 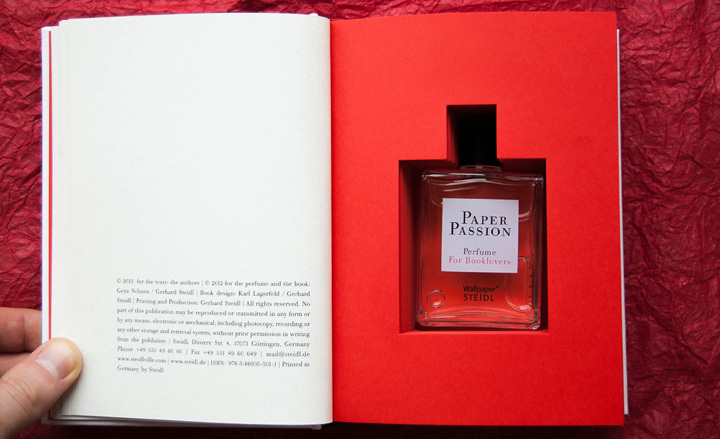 The SLLG tweeted news this week of a literary inspired perfume. From the response, it seems that not only is the idea popular to librarians, but is already being mist-sprayed into the air and walked through. 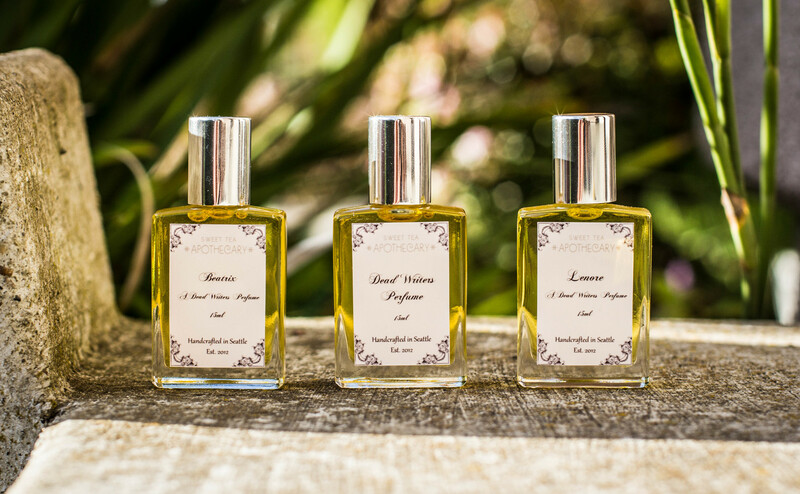 Dead Writers Perfume, is blended to evoke the feeling of “paging through yellowed copies of Hemingway, Shakespeare, Fitzgerald, Poe, and more”, and bottled by The Sweet Tea Apothecary. The “simple scent” of Paperback can be procured from Demeter. An eau de perfume of an entire library is possible from In The Library, by CB I Hate Perfume. Surely, too, there are others out there to be sampled. I’m no per fumier so I am guessing these perfumes smell better than soaking vellum, rag-paper and leather conditioning wax with a library stock copy of Bravo-Two-Zero in a fermenter jar on a bookshelf for a bit and labelling the result decadently: “Liquid Print”. Maybe the SLLG could host a perfume party evening and we can blind test the book themed scents against the real things! On 1st February the SLLG shared this article on Twitter: Never trust a corporation to do a library’s job. It has been one of our most popular tweets, quickly gaining multiple Re-tweets and several ‘Favourites’ to date from followers around the globe. The article states one of the original mission statements of Google – to preserve history online – has now been largely abandoned by the company. The piece is a short read on the shift in Google’s ethos from a place developing a series of organized information repositories and why. It highlights, again, the dangers of stating “it’s all on Google”. The article goes on to reveal the advances the Internet Archive project is making to ensure history – both analogue and digital born – continues to be filed and made accessible online. However, the project has a long way to go and is another reminder that not everything is accessible online, or will necessarily remain there. For more articles, news and SLLG based fun, follow scotlawlibs over on the twitter-thingy.